Ever felt abandoned, disempowered or unloved? Ever felt like crawling through the dust, unable to get out? 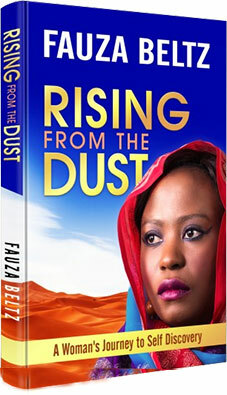 ‘Rising from the dust’ is a story about a young woman born in Kenya who has overcome serious hardships. Fauza, a girl who was born out of wedlock suffered the consequences of her parents’ choices. Later in life she decided not to be the victim of the choices that parents take. She chose not to give her own power away by what the society thinks. She shares the challenges and triumphs in her life. Fauza Beltz is the Owner and Founder of ‘BIF Design’ a blog about interior design and fashion. Born in a rural part of Kwale in Kenya, Fauza acquired her Dutch citizenship after marrying the love of her life. Fauza has one child, Jasper. 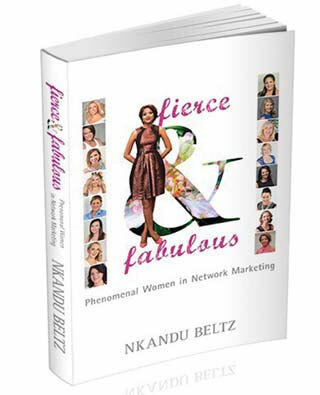 She is a qualified interior designer and has co-authored ‘Fierce and Fabulous, The Feminine Force of Success’. Fauza lives in Dubai in the United Arab Emirates. Her greatest passion is to live life meaningful and inspire others to do the same. 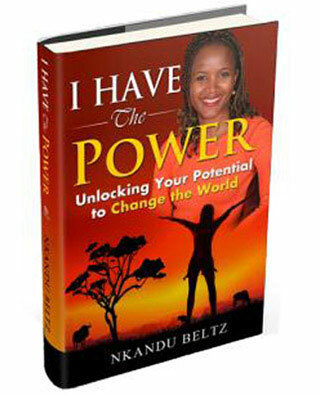 I Have The Power is a guide with inspiring experiences of an African child, born in a remote area in Zambia. It follows the life of Nkandu Beltz and the challenges and triumphs of being born a girl in a Southern African country. It describes the realisation that she has the power to make a difference and that no one can suppress her integrity, just because she was born a girl. I Have the Power details her journey as a philanthropist and social change maker. It follows her becoming a Young Social Pioneer in her new home country, Australia, creating positive change wherever she sets foot. The book will inspire you to strive for greatness, to unlock your potential to changing the World by doing little acts of kindness and challenging your beliefs on leadership. This is a great book with spectacular stories for everyone to read. It is a great gift to young people who may be feeling disempowered. Fierce and Fabulous is a dedication to the lives and achievements of extraordinary women who are changing the world. This is a story of 10 inspirational women. These women add value to the lives of others; they play a bigger game and work smart. They are experts in their fields and Nkandu Beltz sits down with them to find out why they do what they do and the change they are creating. This book is set to inspire thousands of people around the world. It’s a book every woman should have. This is an exclusive opportunity for you to share your story and market your business. This book is about having that deeper conversation as a woman to inspire other women about what it means to be a woman in business. What women are feeling but no one is talking about, the real issues. This book will connect with women around the globe. 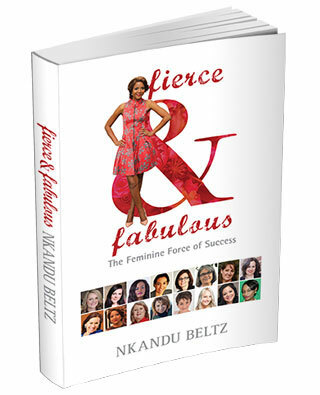 Here is another exciting collection of stories of women taking inspired action to live their dreams brought to you in Fierce & Fabulous style by Nkandu Beltz.